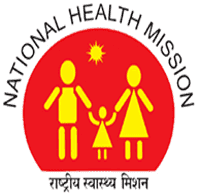 NHM Punjab Jobs Recruitment Notification 2018.National Health Mission Punjab inviting applications for the positions of District PNDT Coordinator Jobs.Interested and Eligible candidates can apply for the positions. Total number of posts to be filled in NHM Punjab is 10 for District PNDT Coordinators. Master’s degree in Punjab health or masters in social work can apply for Coordinator post. Minimum age for candidates is 18 years, maximum age is 37 years. A monthly pay of Rs.20,000/- will be offered to selected candidates of Coordinators. On 28th September 2018 candidates may appear for NHM Punjab recruitment. Selection Committee in the O/o Mission Director, NHM Punjab, 5th Floor, Prayas Building, Sector 38-B, Chandigarh.